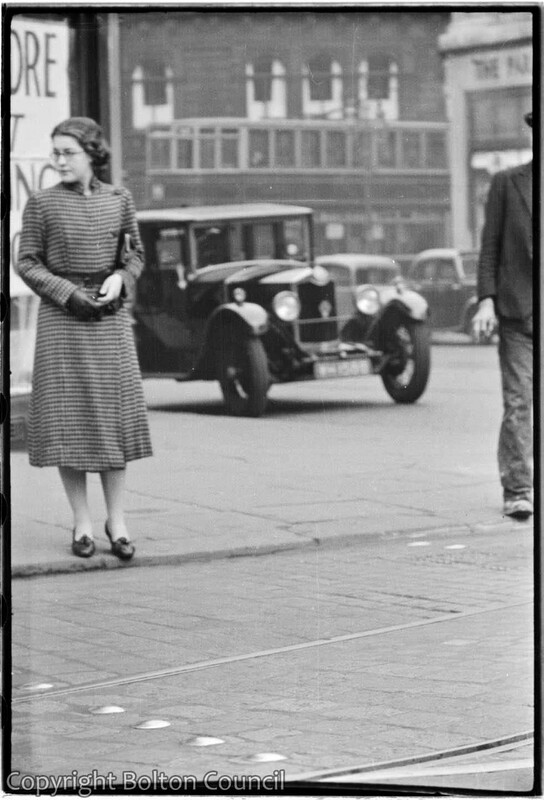 A woman stands on the corner of Deansgate and Knowsley Street in Bolton town centre. The market hall, now an indoor shopping centre is visible in the back of the photograph. Behind the lady was alexandre The tailors. On the same stretch of road were two more tailers with quaint names. The thirty shilling tailors and wait for it. the fifty shilling tailors. I bought my first suit from the latter.